Grab a cup of coffee or tea, because I have 10 photos here...take a moment and enjoy them! I love Brussels, it's an incredible town. There is just so much to enjoy there: architecture, history, culture, Belgian waffles, chocolate, beer...now I'm getting hungry. My recent stay there was only a couple of days, but I was able to squeeze in some serious photo time, and also grabbed a TON of iPhone shots. 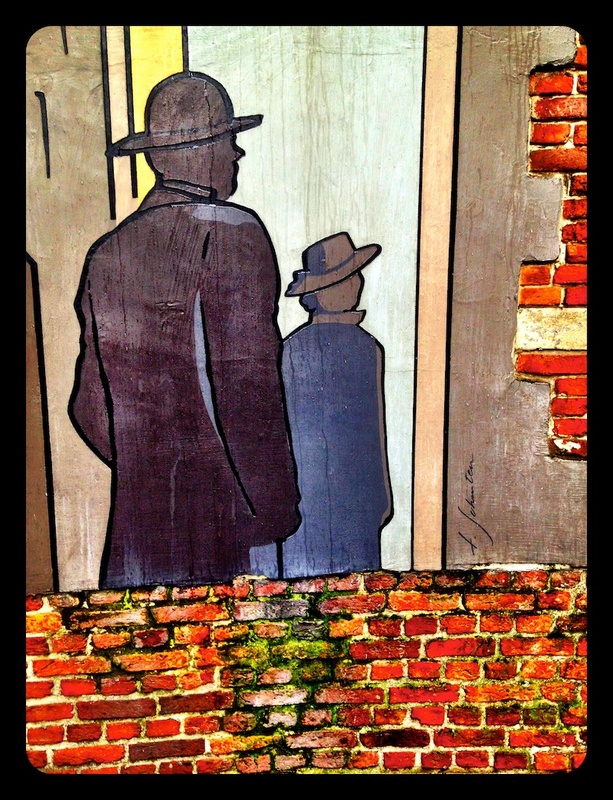 So, here's a quick tour of some cool Brussels spots, taken with my iPhone and processed on my iPhone as well. Grand Place is the historic and beautiful town square...I just love the architectural details! This is the top of their Town Hall, which is the centerpiece of Grand Place - just incredible. Here's a wide view of Grand Place - a pretty wide view for an iPhone! Selling flowers in Grand Place...a leisurely Saturday! I found some awesome graffiti in this town!! I had to shoot this one, just couldn't "Let it be" HAHA. How awesome is this shot of the pigs?? I loved it! 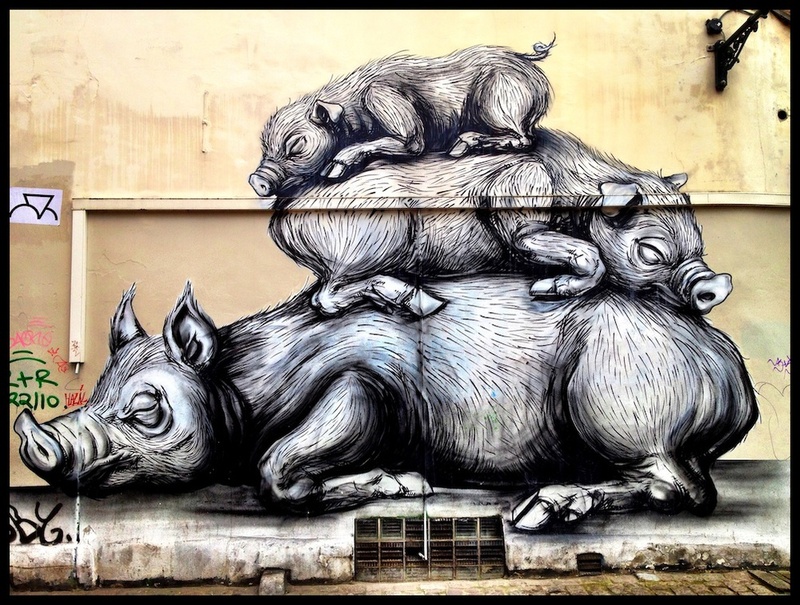 Pig graffiti - fun! Of course, no European city is complete without a little sidewalk cafe action...so awesome. This may be my favorite of all - just loved the graffiti all over the wall, with the cherry blossom tree and the flower petals scattered across the ground - awesomeness! 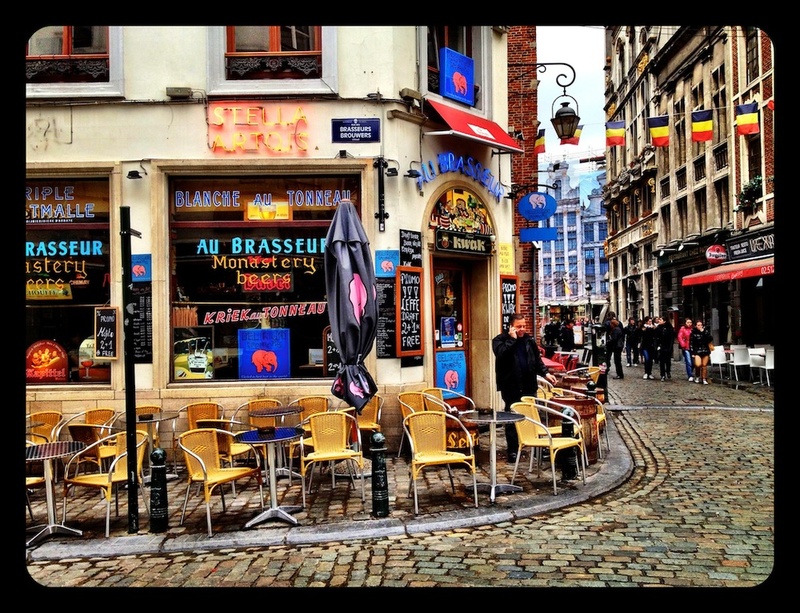 I hope you enjoyed my little tour of Brussels (at least a few spots in Brussels). Thanks for stopping by!